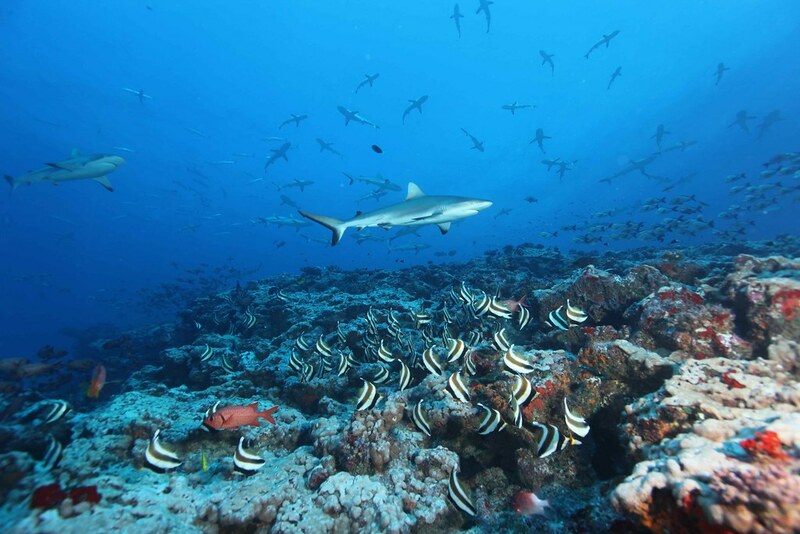 Walker Films and Ratu Manoa Rasagitale have teamed up with Coral Reef Alliance and Pew Environment Group to produce Shark Hope, a 30 minute documentary on the plight of sharks in Fiji and efforts to create a Fiji National Shark Sanctuary. 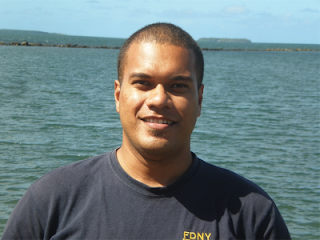 WHEN Manoa Rasigatale became the face of shark conservation this year, he had never met a shark. And as much as he spread the word that this ancient predator was just a fish - with a toothy grin and not razor-shark teeth that instil fear when those jaws open - he harboured a guilt that he had to overcome. The Sharkman, as he has been dubbed by marine conservationists, had to meet the sharks he has fought so hard to protect from extinction face to face. "For a long time, we Fijians have always been frightened of sharks," he said. "And since taking up this cause of shark conservation, and getting help from all stakeholders involved, the Government, marine scientists and tourism operators, and The Fiji Times, which is helping spread the gospel of this campaign to the nation, something has always been amiss. "The thing is I don't truly know what they are like. I needed to experience them so I know who I'm fighting to save." With that weighing heavy on his mind, a week's training in the pool, tank on his back and dive suit on, Manoa dived into the Beqa passage where the sharks roam. This is where the sharks come to feed and where tourists flock from around the world to witness an amazing spectacle. Fed by hand by divers from different districts in Fiji, who Manoa says are protected by an ancient understanding between our ancestors and the sharks, the king of the reef reveals some of its secrets that only certain people know. These are the people who mostly live their lives under the sea - the divers who go under daily for food near the reefs, marine biologists and tourist operators who have become self-taught scientists like the shark-feeding divers of the Beqa passage. Manoa needed to know what these shark lovers like him knew. He needed to understand sharks better than he did. "That's why I took that dive. I had to touch the shark, to feel his power, his emotions, know what he does down there and what exactly these shark feeders do." He was offered diving classes by Aquatrack and with his cameraman in tow, the Sharkman joined tourists from the Philippines, the United States, England "and other parts of the world" for a dive. "When we reached the passage and before I jumped into the water, I could see the sharks, the bakewa and all sorts of fish circling underneath the boat. I thought to myself, 'if something happens to me, so be it'. This is what I'm fighting for anyway. I told my other cameraman to keep rolling the camera, just in case he'd get such a footage." Manoa wanted to prove a point - that ancient Fijians had an understanding with the sharks, that Fijians were meant to protect the sharks and the sharks would in turn protect them by ensuring the reefs were kept alive for their survival. After travelling to the various maritime provinces, documenting the stories of elders about this relationship with the shark ù worshipped as a god in ancient times ù and getting their support for State legislation to protect them, it was time to face the truth. Over time, Manoa believes the sharks have been demonised by the fact that they were ancient gods of dark days before the arrival of Christianity in the islands. That, the fear sharks instil with the way they hunt and eat their prey and the movie Jaws, "which really did a lot of damage", has made him more determined to portray the sharks in a positive light in these islands and save them from extinction. According to the Pew Environment Group which Manoa works for, the population of sharks worldwide has declined with overfishing for shark fins, meat and other shark products. Scientists believe that there are over 100 million sharks killed annually, 73 million simply to supply the fin trade. Manoa wants Fijians to stop contributing to this trade and give sharks the respect they deserve for their role ù maintaining the cycle of marine life and ensuring our reefs remain bountiful for our future generations. 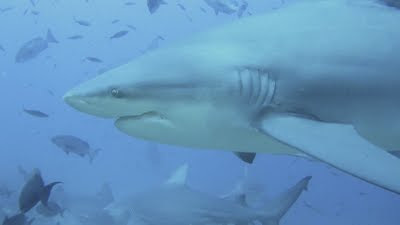 Without the sharks, the middle predators take control and kill marine life that feed off the reefs and keep them alive. "Without the reefs, the sea dies, and so too we. In these islands, we depend on the sharks to ensure we don't run out of food." That dive gave Manoa assurance that folklore from ancient times passed down by word of mouth was true. While Cakaudrove, Beqa, Yanuca and other parts of the country have different versions of the shark god, there was a common ground ù protection for each other. "When I descended into the water, there were sharks coming in from different directions with all the other fish of all sizes. The sea was alive. Au sa matasarasara (I was in awe). "Fear disappeared. I found out that the shark is intelligent, shy and also fearful. One came right up to my face and I looked into its eyes. It flinched three feet away, it seemed shy and fearful. "They came and the shark feeders just fed them. When they started to crowd around, one the of the divers just pushed a big shark out of the way and it got back into line. "I was fortunate enough to be with the feeders, up, close and personal with these sharks. I touched them as they passed and when I did, I felt their power, their precision in the water and the peace with which they went about in this world. "It was beautiful. Their existence there ensured that the world down there stays beautiful. The reef was alive, the colours so vibrant, it was awesome that I did not want to come up. "I looked around and thought 'if I had a bicycle, I would just take a scenic tour up and down the mountains and valleys'." 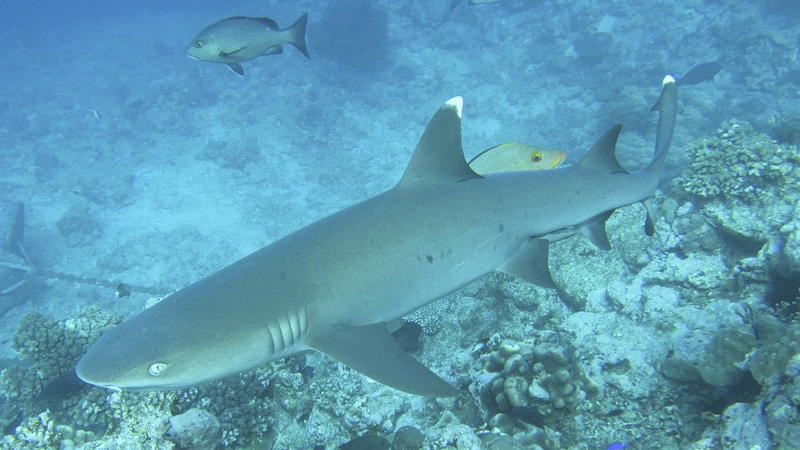 Manoa's thoughts went back to ancient times and that relationship between Fijians and sharks. "I wondered what brought about the end of that relationship. What did we do wrong? When did fear come in? After that experience, I believe we still have that understanding with them." Thanks to the shark-feeding operators - Aquatrack and Beqa Divers, which operates just close by in the passage ù the stories of old will remain. And while shark-feeding may contradict with the aims of conservation to leave sharks be to feed in their natural environment, Manoa believes the feeders in the Beqa passage have done what he has been trying to the past few years ù prove that Fijians have a special relationship with the sharks. "These tourists bring in a lot of money to see these sharks but better still, here we have a chance to learn of this old relationship and understand just what these fish mean to us. "They is still much to learn." SHARKS around the world are threatened by overfishing. The International Union for Conservation of Nature and Natural Resources has determined that one third of all sharks are threatened or near threatened with extinction. Furthermore, nearly half of all species lack enough data to make an accurate assessment of their extinction risk. The sobering thought of losing sharks forever has prompted many nations to take measures to protect their populations. 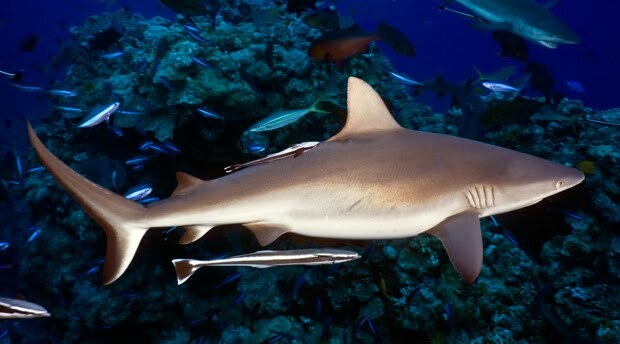 Coastal nations, especially those in the Pacific, have unique cultural and historical ties to sharks and they have been some of the first to protect them. "The world must rise with us to protect our oceans and our environment," said President Johnson Toribiong of the Republic of Palau. "That is the moral obligation of this generation for the benefit of the next." Palau, Maldives, Honduras, and Bahamas have created shark sanctuaries in recent years, completing closing their waters to commercial shark fishing. Additionally, last month presidents and governors from countries, states, and territories in Micronesia signed a resolution authorizing the establishment of the world's first regional shark sanctuary. Once implemented, the Micronesia Regional Shark Sanctuary will be more than twice the land area of India, encompassing 6,559,890 km of ocean surrounding the islands of Palau, Guam, Commonwealth of the Northern Mariana Islands, Republic of the Marshall Islands, and Federated States of Micronesia and its four states, Yap, Chuuk, Pohnpei, and Kosrae. 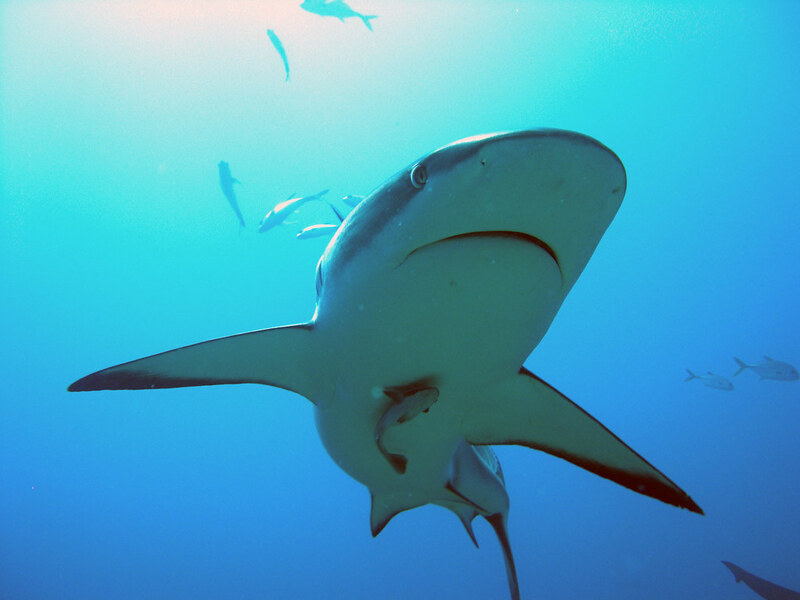 With the national shark sanctuary currently under consideration by the government, Fiji will join a growing list of nations that are making efforts to protect sharks. Not only that, a national shark sanctuary in Fiji would be nearly 1.3 million square kilometers in size. It would be the first in Melanesia and the first in the Southern Hemisphere. Several of the Micronesian governments passed shark conservation measures prior to the agreement, including Guam and the Northern Marianas, which banned shark fins earlier this year, and Palau, which created a shark sanctuary in 2009. The creation of the regional shark sanctuary will make enforcement more cost effective and improve overall effectiveness of individual island's shark protections. 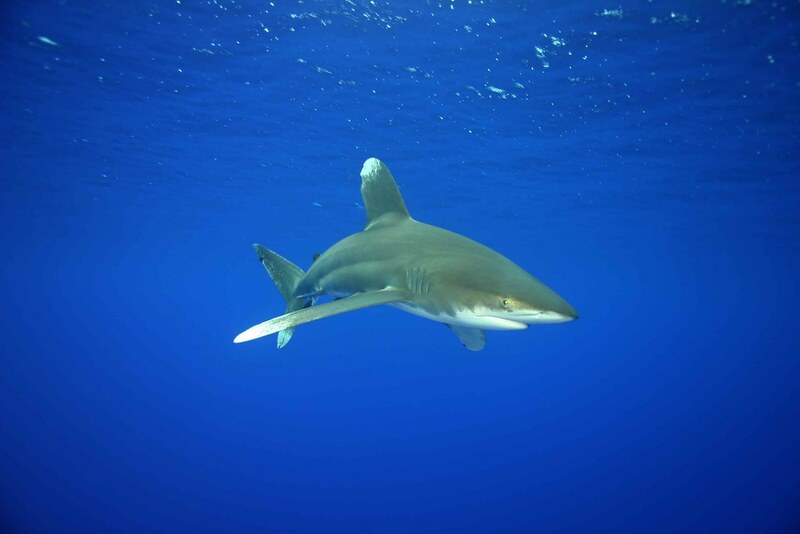 "It is imperative that this movement to protect sharks spread from island to island, nation to nation," said Representative Diego T. Benavente of the Commonwealth of the Northern Mariana Islands. "The shark fin ban in the Northern Marianas was the most important legislation I introduced in my 20-year career as a public servant." 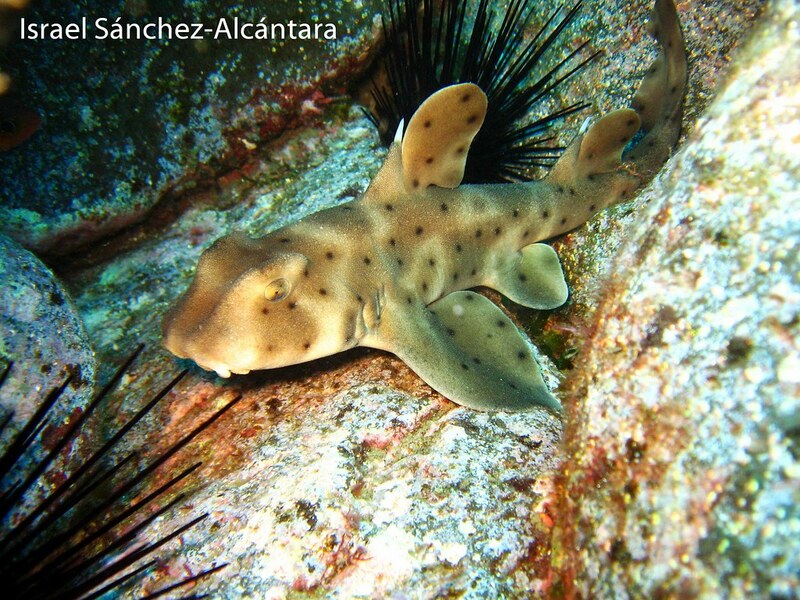 Scientific studies have shown that sharks are important to marine ecosystems. As apex predators they maintain balance in populations of food fish and reef building corals. Sharks are also important to the economies of coastal nations and studies have shown they attract millions of dollars as living tourist attractions. Published in the Fiji Times on Monday, August 22, 2011. Whale Shark, Seychelles. Photo: Joe Daniel. Humane Society International and the Jane Goodall Institute China's Roots & Shoots Beijing program have teamed up with the Beijing Zoo to promote shark protection with a photo exhibit that showcases these magnificent creatures. A wide range of Chinese animal welfare and conservation groups, media professionals, businesses and students joined HSI and JGI China representatives at a press conference held at the Zoo to launch the exhibit and to enlist public support for shark protection. Horn Shark, Guadalupe Island, Mexico. Photo: Photo: Israel Sánchez Alcántara. The exhibit, entitled "The Price Behind the Taste - Protect Sharks, Don't Eat Shark Fins," consists of captivating images of sharks swimming in the ocean followed by dramatic photos of fins being cut off of live sharks to make shark fin soup. The unmistakable message is that the human appetite for shark fins has devastating consequences for sharks. Grey Reef Sharks, French Polynesia. Photo: Rodolph Holler, Tahiti Private Expeditoins. "Humane Society International is pleased to partner with the Jane Goodall Institute China and its extensive grassroots network consisting of hundreds of Roots & Shoots groups across the country," said Iris Ho, HSI's wildlife campaigns manager. "As the world's largest market for shark fins, China plays a crucial role in the survival of shark species at risk of extinction. Support for shark protection in China is urgently needed - and this exhibit along with our other activities with JGI-China are a first yet significant step to build that support." "Vital to healthy oceans, sharks are being overfished and their fins severed for trade," added Lei Chen Wong, JGI China's executive director. "This joint campaign will help raise crucial awareness in China about the importance of protecting sharks, and attempt to promote changes in attitude and behavior about the commercial trade and widespread consumption of shark fins. We hope to inform and empower the Chinese public to be an active participant in the global campaign to protect sharks." Caribbean Reef Shark, Honduras. Photo: Enrico Nanni. The exhibit is part of "No Shark Fin," a year-long joint educational campaign by HSI and the JGI China to raise awareness of and support for sharks in the world's most populous country. The campaign targets Chinese youth, particularly university students, to expand their knowledge of marine biodiversity and the need for shark conservation, and to discourage shark fin consumption. The exhibit runs through September 19. Several Shark Defenders donated photos for this exhibit including Joe Daniels, Israel Sánchez Alcántara, Rodolph Holler, and Enrico Nanni. You can learn how to donate high-quality, royalty-free photos to support our advocacy efforts on the Shark Defenders blog. Whitetip reef shark (Triaenodon obesus) on the coral reef near Rita, Majuro, Marshall Islands. MAJURO, Marshall Islands — An ambitious plan to create the world's largest shark sanctuary in the Pacific Ocean will struggle to succeed without support from locals, a conservationist warned on Tuesday. Five Micronesian states voted last month to create a shark sanctuary by the end of next year covering more than five million square kilometres (two million square miles) -- an area two-thirds the size of the United States. The sanctuary would make it illegal to fish for sharks and outlaw the trade in shark fins, which has boomed in recent years to meet growing demand from Asia's burgeoning middle classes for the delicacy shark fin soup. Marshall Islands Conservation Society director Albon Ishoda welcomed the proposal but said there was likely to be resistance from islanders if the sanctuary was imposed on them without consultation. He said many locals supplemented their meagre incomes by selling shark fins and also regarded the predators as competition for fish without realising their importance to the marine ecosystem. "They don't see the value of (living) sharks, we need a lot of education on the ground," Ishoda said. "Once people understand the issue better, they become advocates for a ban." The Pew Environment Group estimates more than 70 million sharks are killed annually for their fins, leaving up to a third of open-water species on the brink of extinction. And Pew shark conservation campaigner Matt Rand hailed the Pacific plan -- endorsed by Guam, the Marshall Islands, Palau, the Federated States of Micronesia and Northern Marianas -- as a major breakthrough. "(It) should serve as a model for other coastal nations to safeguard these important keystone species which are rapidly disappearing from the world?s oceans," he said. Palau led the way by declaring its waters a shark sanctuary in 2009, but leaders of the five Micronesian nations said unified action was needed to save the animals. "Effective protection of sharks in our Pacific region requires a joint and concerted effort by all jurisdictions to develop a single shark sanctuary where it is prohibited to possess, sell or trade shark fins or to commercially harvest sharks," they said in a statement. Published by AFP on August 16, 2011. Follow the shark conservation efforts in the Marshall Islands on Facebook with the Marshall Islands Conservation Society and Micronesia Shark Defenders. Since 1990, researchers at the Bimini Biological Field Station (Sharklab) on the small islands of Bimini in the Bahamas, have been cruising the shallows in search of their study subjects: lemon sharks. Lots of them. To the untrained eye, the mangrove-fringed lagoon between Bimini’s two main islands would seem an unlikely home for hundreds of sharks, but below the surface, the reasons are clear. Bimini Bay. Photo: Kristine Stump. Mangroves and the nearby seagrass beds provide critical nursery habitat for many species of fish, shrimp, lobster and conch. With their close proximity to coral reefs, Bimini’s mangroves are essential for the growth and development of reef- associated fishes and predators, providing both food and protection for the juveniles. Additionally, the structural complexity and density of adjacent seagrass beds increase biodiversity and capacity for the area. In these nursery areas, the young lemon shark (Negaprion brevirostris), much like its adult counterpart, is king. Juvenile lemon shark. Photo: Kristine Stump. Over the past twenty years, studies at the Sharklab have focused predominantly on the early life history of lemon sharks. The results have overwhelmingly supported the necessary role that Bimini’s mangroves play in a lemon shark’s long quest toward adulthood. Each year, in early spring, pregnant females arrive in Bimini to give birth near the protection of the mangroves. Genetic studies have revealed that these mothers will repeatedly use Bimini, in some cases exclusively, with 55 females producing 644 newborns (neonates) between 1995 and 2000. Juvenile lemon sharks remain in their primary nursery for approximately three years, rarely venturing away from the mass of entwined mangrove roots, which serve as a refuge from larger predators (e.g., barracuda, sub-adult lemon sharks and bull sharks). 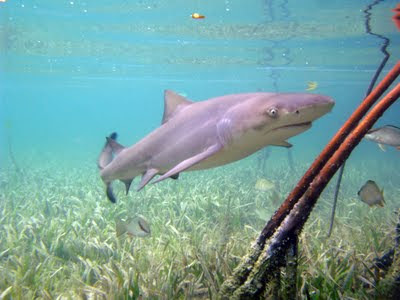 Furthermore, lemon sharks display an innate homing mechanism, a characteristic that prompts them to return to their natal mangroves when displaced. Loss of these areas can therefore destroy the only habitat these sharks will use as juveniles. In Bimini, there are several distinct mangrove-fringed nursery areas in which the Sharklab conducts its research. Of these nurseries, the semi-enclosed, 3 square kilometer North Sound has received the majority of the attention. Unfortunately, over the past decade, the North Sound has seen extensive habitat degradation due to the development of the large Bimini Bay Resort and Marina. 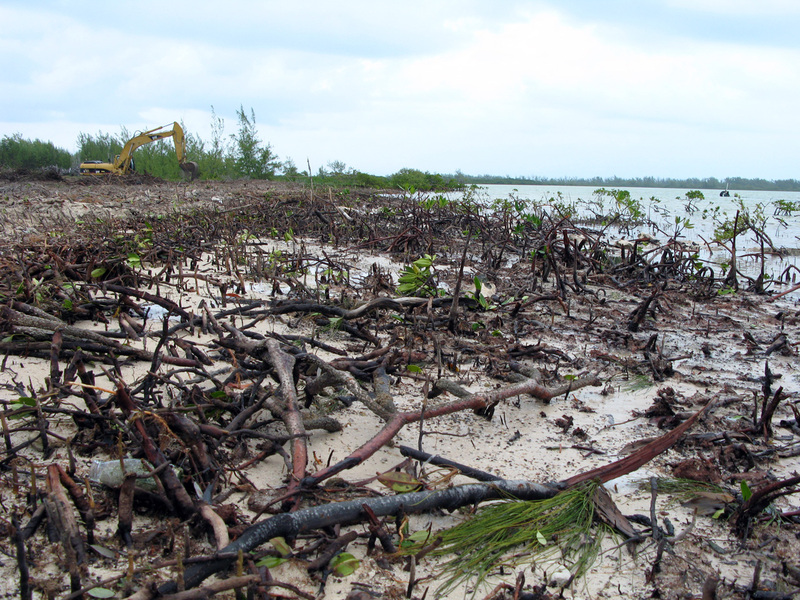 Mangrove destruction on Bimini. Photo: Kristine Stump. 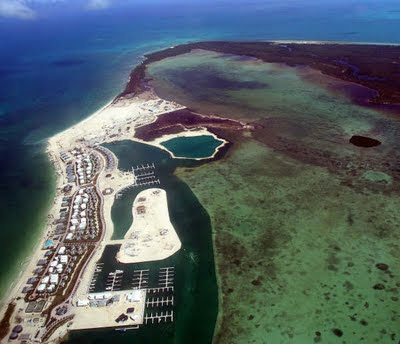 Originally conceived in 1997, the Bimini Bay project has been an ongoing source of controversy for the past decade. Large-scale dredging, filling and mangrove removal have characterized years of inappropriate and ecologically mismanaged construction. At various times during the construction, work was postponed for long periods of time. Despite only partial completion and being located on one of the smallest family islands, Bimini Bay now boasts 350 luxury homes and condos, as well as the largest marina in the Bahamas. Recently, the North Sound has seen the most direct habitat loss, with the near entirety of the Sound’s western coastline stripped of mangroves. According to a recent article, this new stage of development, referred to as Phase II, intends to add “a new beach club restaurant, luxury day spa, oceanfront hotel, small casino, a "Nikki Beach" style oceanfront bar and lounge, 30 or so Maldives-styled 'over-water' bungalows and 91 new up-scale oceanfront homes”(“Bimini Bay Resort Readies for new Era of Development” by Michael Gerrity) all within a mile-long narrow stretch of the North Sound’s west coast. As unfortunate as events in Bimini are, they provide a natural experiment upon which Sharklab Principal Investigator and University of Miami doctoral student Kristine Stump is focusing her dissertation. Kristine’s project, a Before-After Control-Impact (BACI) study, addresses the impacts of habitat loss in a lemon shark nursery. Using the extensive volume of existing Sharklab data concerning the life history, physiology, feeding and diet, bioenergetics, growth and behavioral ecology of lemon sharks in Bimini as a baseline, Kristine is quantifying the large-scale human-caused impact on the nursery with recent data collected from October 2008 to the present. Using these data, Kristine is creating a computer model addressing the potential impacts of habitat loss by elucidating factors within the nursery that are most influential in determining the sharks’ survival and movements. The ultimate goal is to help educate decision makers in order to mitigate impacts of future developments in Bimini and beyond. 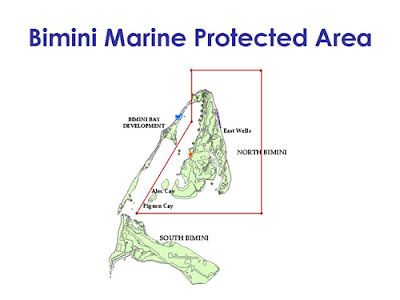 Bimini Marine Protected Area boundaries. In Bimini, while drastic damage has already occurred, there have been successes in reducing the scope of Bimini Bay, as well as establishing a no-take marine protected area in the remainder of the North Sound and East Bimini. Additionally, Bimini Bay is now operated by Rock Resorts, a Colorado-based company with a more environmentally conscious reputation, a change many are excited about. With the recent landmark legislation declaring the Bahamas a shark sanctuary, there is much to be thankful for in terms of shark conservation. The Bahamian shark population, one of the world’s healthiest, is now safe from the threat of a commercial shark fishing industry. However, in order for Bahamian sharks and others around the world to remain healthy, it is imperative that known mating, birthing and nursery areas are protected and remain viable. The Sharklab is excited for the results of Kristine’s study, and hopes her model will be used to prevent future loss of habitat vital to the sharks we love. Tyler Clavelle is the assistant lab manager at Sharklab. If you are interested in volunteering at the lab, please do not hesitate to contact Dr. Gruber at sgruber@rsmas.miami.edu, or our station managers at bbfssharklab@gmail.com. Please also visit our website www.miami.edu/sharklab for details. Grey nurse sharks (Carcharias taurus) along Australia's east coast are assessed as a critically endangered species under the New South Wales Fisheries Management Act 1994. This species aggregates at a number of sites along the New South Wales and Queensland coast, where they are threatened from accidental hooking by fishermen. Fishing closures were enacted earlier this year to protect the aggregations, but they were subsequently revoked. The New South Wales Government is accepting testimony on fishing rules for these areas and Shark Defenders is supporting Project AWARE’s testimony to fully protect these critically endangered sharks. Will you add your voice to help protect these important predators? Please visit the Project AWARE website for more information and for links to the New South Wales Government website to deliver your testimony. Project AWARE has a sample testimony you can copy and paste into the government’s online submission form, but we urge you to write your own. Your reason for wanting to protect grey nurse sharks. Why not finish your letter saying something nice about Australia and the Pacific? Please forward your submission to David Roe at Project AWARE via email at david.roe@projectaware.org.au. You can also contact David if you have any questions or require assistance. Conan O'Brien starts a new tradition with Falling Out of Bed Week -- pointing out that 450 people die each year in the United States from falling out of bed. That's 100x as many people as are killed by sharks worldwide on an annual basis. DAVID Diley loves sharks so much that he gave up his job as a recruitment consultant, became homeless and spent his money on travel to capture the feared fish on film. The Leeds-based documentary maker said he was fascinated by sharks as a young boy growing up in England. This passion led Mr Diley to Fiji to shoot at different locations on sharks and the traditional relationship they have with Fijians. The isles have become his Mecca. "It was a lifelong dream to make a documentary on sharks in Fiji and their relationship with Fijians and the spiritual side of their relationship," he said. "I read an online article about 13 years ago, which was a small paragraph about sharks and the reef ecosystem of Fiji, and decided that I will go there and swim with sharks in Fiji one day and make a film." He gave up everything and went around looking for potential producers for the film but no one wanted to give him money "because I was a stranger"..
"Then I contacted Tourism Fiji through Fiji Me, and they really liked my idea so they sponsored me to come to shoot in Fiji." He has been in Fiji for more than four weeks, shooting scenes at Galoa Village near Deuba and at the Beqa Divers Shark Dive site. Mr Diley said even though he had dived dozens of times with sharks, including the Oceanic white tip, responsible for the most attacks, he considers the Beqa Shark Dive his best. "It's the best shark dive in the world because it includes eight different species of sharks." These include the blacktip reef sharks, whitetip reef sharks, grey reef sharks, silvertip sharks, tawny nurse sharks, sicklefin lemon sharks, bull sharks and the occasional tiger shark. "It's astonishing to see the level of understanding and respect the shark feeders and Beqa divers have for sharks." He said he went to Galoa and Beqa to talk to villagers about the importance of sharks and to inform them of the dangers that foreigners posed to the ancient predators. "Sharks here are threatened not by Fijians but by the destruction of reefs and their habitats by foreigners and illegal fishing vessels. "Foreign fishing fleets are completely ignoring the qoliqoli and they come and kill sharks for their fins. "Fijians should tell the foreigners that the sea is owned by the natives and the relationship between sharks and people is more important than fins. "Individuals should educate themselves on the importance of sharks in our ecosystem." Mr Diley said Fijians had knowledge of the balance of the ecosystem of the sea and the great imbalance that would be created if sharks disappeared. "If you have a dead shark, you can only sell it once but if you have a live shark, you can sell it over a million times. A live shark is worth more to Fiji than a dead shark." His mission is to tell the people of his country about the story of the shark and how much the people of Fiji are doing to protect its species. "We must respect the sharks. Every person whom I have met in Fiji has told me that sharks must be protected." He said he would not be here if there were no sharks in Fiji. "Viewers will also want to come here to swim with sharks when they see this and many would like to come and see them in their dive sites." He said he would incorporate a conservation message with the film to tell people to protect sharks and thank those who are trying to protect them. "I am humbled to be here and experience the warmth and kindness of being here in Fiji. "The people accepted me and allowed me to learn from them therefore Fiji and its sharks will always have a special place in my heart." Published in the Fiji Times on Monday, August 8, 2011 Written by Arin Kumar. Así lo expresó Matt Rand, Director del Programa Global de Conservación de Tiburones del Pew Environment Group, quien se pronunció en respuesta a la firma de la ley para la prohibición del Aleteo de Tiburones por parte del Presidente de la República, Su Excelencia Sebastián Piñera. Esta nueva Ley obliga a todos los pescadores que capturen tiburones, sean desembarcados con sus aletas naturalmente adheridas, es decir que el cuerpo completo debe ser llevado a puerto y no solo sus aletas. La Ley ha sido publicada hoy en el Diario Oficial de Chile. A través de esta Ley que prohíbe el aleteo, Chile se ha convertido en uno de los líderes de la conservación de una de las más importantes especies marinas, los cuales se encuentran en una situación crítica en todo el mundo. Más de 73 millones de tiburones son muertos anualmente, principalmente por la demanda de aletas, las cuales se consumen como sopa en Asía. Este comercio insustentable, es mantenido a base de la práctica del aleteo, el acto derrochador de cortar las aletas de los animales y desechar el cuerpo en el mar. Unida a esta prohibición también se ha realizado una petición expresa de la Comisión de Pesca del Senado al Subsecretario de Pesca, Pablo Galilea, para terminar con el uso de los reinales de acero en la pesca de palangre, la que reducirá significativamente el número de tiburones capturados en la pesca de pez espada y atunes. Esta técnica de cambiar el monofilamento plástico por un trozo de metal impide que los tiburones puedan cortar la línea y luego escapar libres. 1. Educate yourself about the global situation of sharks. The shark conservation movement requires informed, intelligent advocates and if you are reading this I MEAN YOU! Find out why sharks are disappearing from our oceans. Try to understand the commercial fishing industry and what constitutes bycatch. Get in the water and observe sharks in their natural habitat. Get to know them and the issues they face, and you will become a better champion of sharks. 2. Take the Shark Defenders pledge and sign up for our email updates. About once per month we will send you the latest news in shark conservation and/or ask for your support in passing legislation around the world. Our goal is to create a global network of shark activists. 3. Follow Shark Defenders on Facebook. If Shark Defenders is a global network of shark conservationists, Facebook is where we meet to communicate. We post the latest shark conservation news, action alerts, as well as some of our favorite dive photos. You can also follow us on Twitter, Instagram, Pinterest, and Youtube. 4. Contribute high-quality, royalty-free photos for Shark Defenders use in media. 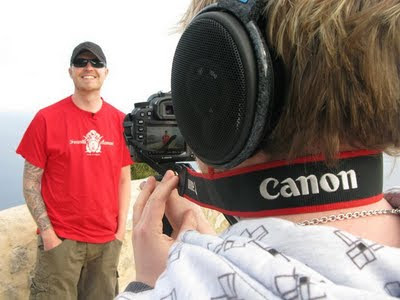 Shark Defenders relies heavily on the Internet and the press to tell the world about shark conservation. This requires a library of high-quality photos and we ask our supporters to donate their best photos of sharks. We post some of the photos to the Explore the Ocean layer of Google Earth. 5. Do not use products made from sharks. Most shark conservation organizations will tell you not to eat shark fin soup, but did you know that many fish & chips shops use shark? Shark is also used in some cosmetics and alternative medicines. Find out if you are using shark products in your home and replace them with substitute products. 6. Do not eat seafood that results in the bycatch of sharks. The longline fishery in the North Atlantic kills 5 sharks for every swordfish caught. Bottom trawlers are responsible for the extirpation of many demersal shark species in the Mediterranean. Find out if the food you are eating kills sharks. If it does, eat something else. 7. Support the banning of shark fishing and shark products in your community. The best place to be an environmental activist is in your own backyard. There is a global movement to ban shark fishing and the sale, trade, and possession of shark. We ask for your support in passing these laws, but you should also look into passing similar measures where you live, both on a local and national level. 8. Support Shark Ecotourism. On your next vacation, visit one of the countries that have taken steps to protect their shark populations. Go dive with the tiger sharks in The Bahamas, the Caribbean reef sharks of Roatan, Honduras, or the grey reef sharks at Blue Corner in the Rock Islands, Palau. Avoid countries that do not protect sharks. 9. Elect leaders who support conservation. Find out if the policy makers who represent you support shark conservation. If they don’t, elect someone else! 10. Donate to organizations that protect sharks. There are many organizations around the world working to protect sharks. You should find one who you think does great work and support them. Who you support is up to you, but we think our partner the Coral Reef Alliance does an excellent job working with coastal communities around the world and would put your hard earned money to good use. Last week Shark Defenders reported that several jurisdictions and governments in Micronesia were banding together to create a 2 million square mile shark sanctuary, the largest in the world and the first created through regional agreements. The Republic of the Marshall Islands, the Republic of Palau, the Territory of Guam, the Commonwealth of the Northern Marianas Islands, and the Federated States of Micronesia and its four member States, Yap, Chuuk, Pohnpei, and Kosrae, declared a regional ban on "the trade of shark fins and the commercial harvest of sharks" and have created a working group to develop a comprehensive approach to developing the regional plan, identifying options for funding, and implementing the plan. This regional declaration comes on the heals of Palau protecting its million dollar reef sharks, Guam creating a shark tsunami, and Northern Mariana Islands inciting a Sharkwater Revolution. And the world has taken notice. In the last week the new shark sanctuary has landed on the pages of the New York Times, USA Today, and Washington Post. NPR also ran a story, as well as countless blogs (here, here, here, and here). Congrats and thank you, Micronesia! Bula from Fiji! I’m Kelly Thomas Brown and I am a local shark researcher at the University of the South Pacific in Suva, our capital city. I am undertaking a Master of Science in Marine Science degree under the theme of biodiversity and conservation of reef-associated sharks in Fiji. Included in my research objectives is a comparison of reef shark densities and habitats in a marine protected area and a non-protected area. I will also attempt to identify a shark nursery area in the hope of protecting that area from any form of shark fishing. While doing background research on sharks in Fiji, I was surprised to find that there was no previous research on sharks at my university and that not much is known scientifically about Fiji sharks, with only indirect data sources coming from mentions in general coral reef surveys, fisheries export data and tourism-related activities. In some areas of Fiji, tradition reveres sharks as totems and shark fishing is prohibited. My paternal and maternal family links to the provinces of Cakaudrove and Kadavu, respectively, are included in these areas. The fact that there is no legislation protecting sharks in Fiji, mainly because of the lack of scientific data, convinced me to undertake shark research, in the hope of providing some form of reliable data to back-up management proposals at the national level. The Pew Environment Group, the Coral Reef Alliance and the Fiji Fisheries Department have started a shark awareness and conservation campaign in Fiji in the hope that more Fiji citizens are made aware of the need to conserve our shark populations and I am fortunate to be included in the campaign. Throughout my research work in the field, I will be posting updates on Shark Defenders and on the Facebook page Fiji Shark Defenders, in the hope that you will join me as I attempt to learn more about these awesome marine animals in the islands of Fiji! An area covering over two million square miles of the western Pacific Ocean, two-thirds of the land area of the United States, is slated to become the world’s largest shark sanctuary and the first one ever created through a regional agreement among governments. 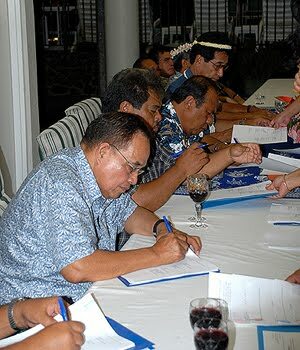 Leaders at last week’s 15th Micronesian Chief Executive Summit passed a resolution (PDF) to begin the process of creating a regional sanctuary where shark fishing would be prohibited. The agreement, which also authorizes the development of a regional ban on the possession, sale and trade of shark fins, covers the waters of the Federated States of Micronesia and its four member States, The Republic of the Marshall Islands, the Republic of Palau, the Territory of Guam and the Commonwealth of the Northern Marianas Islands. In June and July, Honduras and the Bahamas joined Palau and the Maldives in creating shark sanctuaries. These nations have come to realize that shark tourism is far more profitable than killing the animals for their fins. One year later, the Marshall Islands instituted a shark fishing moratorium after reports of unregulated activity in its waters. The Micronesian state of Pohnpei has also taken steps to ban the possession, sale and trade of shark fins within its jurisdiction. “I am very thankful that the region has a common voice on sharks,” said John Ehsa, Governor of Pohnpei. “Our State Government has pending legislation to save sharks, and I am in full support.” The Pohnpei initiative is modeled after Hawaii’s landmark shark fin ban which took effect July 1, 2010. That law, championed by Hawaii State Senator Clayton Hee, prohibits the sale, possession, or distribution of shark fins and fin products. Senator Hee participated in the Micronesia summit to encourage the chief executives to continue their marine conservation efforts, particularly those focused on the protection of sharks and manta rays. “As native sons of the Pacific, the leaders of Micronesia have taken care of their mother by passing this historic resolution to save sharks,” said Senator Hee. Published by the Pew Environment Group on Monday, August 1, 2011. VERY few people in Fiji know that sharks are moving towards extinction. The main reason is that this ancient predator has been overfished for its meat, fins and shark products. It has been feared for its size and predatory abilities, even called a man-eater. But it really is not, it doesn't eat humans, only often mistaking them for food, or attacks in defence. It is a fascinating species whose existence ensures we survive. The shark maintains the balance in the cycle of the food chain and keeps the reefs alive for our future generations. 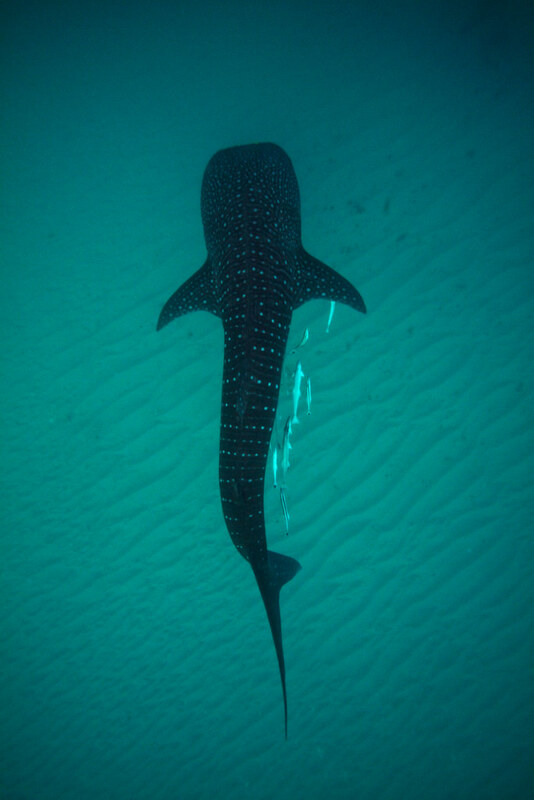 It is for this reason we joined the campaign for shark protection, linking up with the Pew Environment Group and the Coral Reef Alliance (CORAL) which are working with the Fiji Government to safeguard sharks in Fiji's waters. Today the shark population in the world has decreased drastically from what it was a few years ago. Why do shark stories attract an audience? Have you ever realised that the more gruesome a shark story is, the better it sells? Sharks are misunderstood and feared creatures and they need exposure about their plight rather than the attacks they carry out, because shark attacks are minimal compared to other dangers we live with in this world. Beqa Islands have an ancestral covenant with the shark god Dakuwaqa that all people of Beqa be protected from shark attacks. Rukua villager elder, 78-year-old Rukua villager, Ponipate Jioji claims that Dakuwaqa's home is a cave by the seaside at Derebu that was buried during the construction of the village seawall in the 1970s. "We also call him Na Gone mai Wai," he said. Village historian Mika Tubanavau, 61, and Orisi Cagilaba, 50, both said that through oral history relayed to them by their ancestors through the generations, it began when the gonedau (traditional fishermen) leader of the Tui Rukua, named Cakaubalavu, was out fishing at sea. Traditionally, a special dish of qalu (delicacy of root croops or fruits and coconut milk) is made and properly wrapped in banana leaves for them. But upon their return, Cakaubalavu and his fellow fishermen met empty banana leaves floating at sea. The qalu had been eaten by a group of young men who went ashore first. In anger, he swam and overturned three times before turning himself into a shark. Feeling disappointed with the reception after his fishing trip, Cakaubalavu decided to leave Beqa together with his fellow traditional fishermen in search of another land. As they sailed away, a child aboard the canoe cried out aloud for his mother left behind at Rukua saying, "Isa Beqa, isa Nau." It is said from their departure from Rukua, Cakaubalavu turned himself into shark. They left Rukua and headed towards Vatulele then to the Yasawas. During the journey the child continued crying out loud saying, "Isa Beqa, isa Nau!" According to a book regarding the yavusa Naduruvesi or direct agnate descendants of a single kalou-vu of the village of Rukua, prepared by Ratu Wame Tuivuya in 2002, Cakaubalavu died because of a boil on his back but because of his mana he managed to stay alive as a shark with a white tip on its fin. The white tip was where the boil, or soso as they called it in Rukua, was. Tuivuya said they then landed ashore at Buca in Vanua Levu. When the Tui Cakau saw smoke rising from the beach where they had landed and made fire, he asked one of his men to enquire who the intruders were. When he learned they were the Tui Rukua's traditional fishermen, he then sought assistance from them to fight warriors from Natewa. The Tui Rukua's traditional fishermen agreed and told the Tui Cakau they would fight on top of the reef. Because they knew the reef like the back of their hands, they made it their battleground. With the victory, the fishermen of Rukua brought respect to the Tui Cakau and the vanua of Lalagavesi. Tuivuya said it was then from that battle that Cakaubalavu was known as Dakuwaqa. Today, these gonedau make up the mataqali Benau (Isa Beqa, Isa Nau) at Dreketi in Somosomo. The island of Benau, off the coast of Vanua Levu, is where legend has it Dakuwaqa made home. The tourist attraction of shark feeding at the Shark Dive Beqa Lagoon based in Deuba is handled by Rukua natives Eliki Seruvatu and Rusiate Balenagasau. Tubanavau sums it well, saying: "We can kill sharks, but there is no point as traditionally he is our protector. Not once ever a Beqa native had been bitten by a shark." Published in the Fiji Times on Monday, August 1, 2011.